Rediff.com » Business » Google to make smart bulbs, dishwashers! 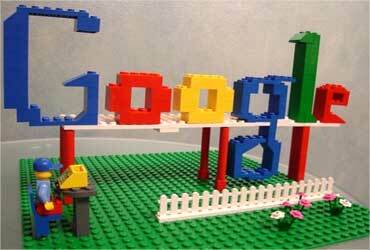 Google to make smart bulbs, dishwashers! After the Internet, Google is now set to foray into the domain of household appliances - it will produce bulbs, thermostats and dishwashers, and integrate them with wireless technology, the search engine giant has said. According to Google, the new range of 'almost anything electrical' household devices would be launched by the end of this year, and wireless technology will help these devices to communicate with tablets, The Daily Telegraph reported. Announcing the new initiative, codenamed Project Tungsten, at a software developers' conference in San Francisco, Google said its aim was to let a range of devices 'discover, connect and communicate' with each other. In a series of demonstrations using its Android operating system 'Android@home', Google showed a tablet that could turn lights on and off, send music from the Internet to a hi-fi and even a 'near-field communications' chip that simply had to be touched on speakers to start them playing an album. 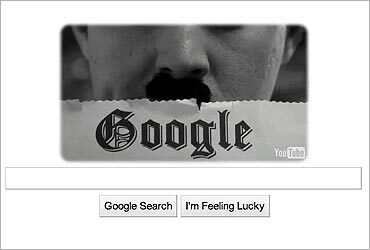 Image: Google created an interactive doodle of Charlie Chaplin. Although entering the crowded 'home automation' market is brave move by Google, the US-based firm highlighted 400,000 Android devices are now being activated every day. It said that apps integrated into the home environment, such as an alarm clock application that gradually raised the lights and turned on a user's radio, were the next logical extension. 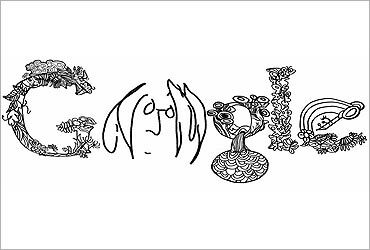 Image: Googel celebrated John Lennon's birthday. The company already offers 200,000 different apps and they have been downloaded 4.5 billion times on 100 million different devices, mostly mobile phones. Google also announced a service allowing users to rent movies online as well as to store music they already own on the Internet. 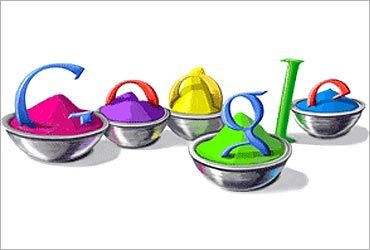 Image: Google celebrated Holi with doodle. Now turn your wall or table into a computer!